Netflix have launched a service to show you exactly how fast (or incredibly damn slow) your internet connection actually is. Netflix have set up the real-time service Fast.com to show you the exact speed your connection is, to give you "greater insight and control of their internet service". There are services out there that do the same thing, such as speedtest.net, but internet service providers have regularly been accused of prioritising traffic to these sites over others. Meaning you may have an incredibly slow internet connection for every website in the world, but the speed test will report that you have a great download speed, because your internet service provider wants you to think they're great. 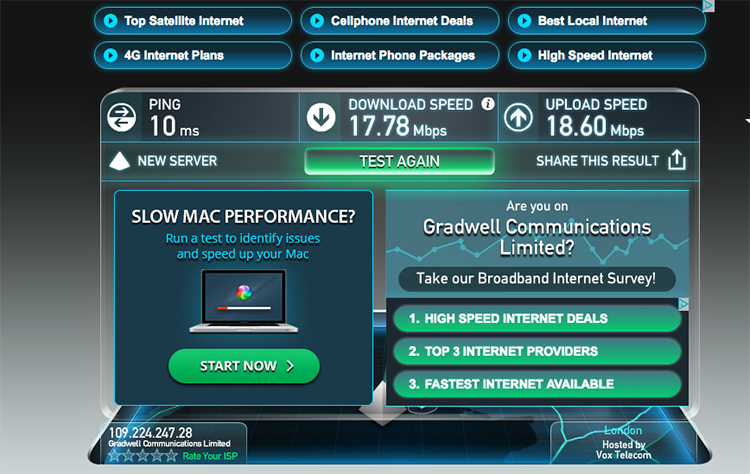 Whereas speedtest.net tells us we've got a spritely connection of 17.78Mbps. "I used to be [on] Virgin Media in the UK. There were times when I was unable to access any other website other than speedtest.net and virginmedia.com, but got great speedtest.net results!" one Virgin Media customer alleges. 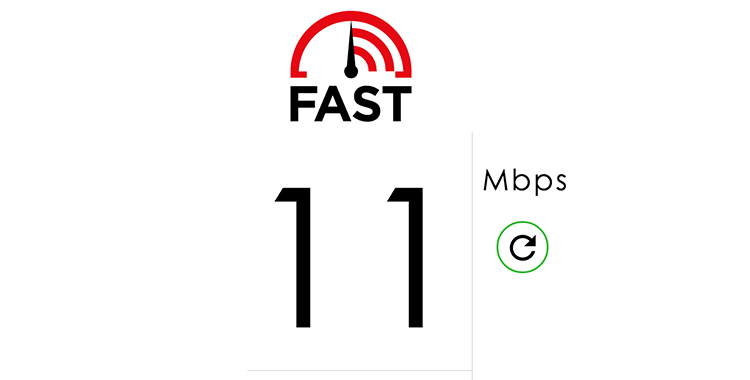 Netflix's service Fast.com uses Netflix's own servers to measure your speed. Which means you'll see the speed that your internet service provider allows you to connect to Netflix at. “We all want a faster, better Internet, yet Internet speeds vary greatly and can be affected by other users on your network or congestion with your Internet service provider,” Netflix' vice president said in a blog. Internet service providers (ISPs) have been known to "throttle" users' connections to video content (meaning they limit users speed to certain sites, such as Netflix, because it uses up a lot of data bandwidth). With fast.com you will be able to see if this is happening to you, as if you are experiencing high speeds elsewhere, but Netflix shows you have low speeds, this could mean that your own connection is being throttled by your ISP. Users are already saying that there are massive differences between what Netflix report their speed as and what other sites say their speed is. "Fast.com: 43 Mbps. Speedtest.net: 233.11 Mbps" one user reports.